If you are interested in an internship, please contact Dr. Tom Eyssell who coordinates the internship interests of our FPA of Greater St. Louis chapter members. We have chapter meetings, nearly monthly. Look at our calendar to see what is coming up, we would like to see you there. 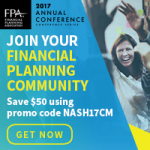 Learn more about FPA NexGen which is a group that is dedicated to individuals 36 years old and under who are in the financial planning industry. We have a local St. Louis NexGen group as part of our chapter. We would like to see you at a St. Louis NexGen Happy Hour or event, e-mail Nicole Birkett-Brunkhorst to be added to the e-mail list to be notified of upcoming events.